It’s tempting to want to skimp on your power supply when building a computer; however, there are many important reasons not to. This is especially true when you have expensive components you’re trying to protect. What’s more is that a high-efficiency power supply represents significant energy savings over the life of your computer. Efficiency is especially important in areas where the price of a killowatt-hour (kWh) is high. If you’re constantly gaming, working, streaming movies, or mining with your computer, then more than likely you should shoot for a power supply that’s rated the top end of the scale in energy efficiency. 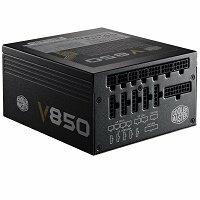 On the other hand, budget builders may not want to cripple the key components by purchasing a PSU that’s more than what your value build needs. Over the past decade various community forums have been breaking power supplies down into tier lists based on their part quality, load testing, ripple and noise measurements, build quality and more. Information from *these websites, as well as our own experience, have helped in compiling this list. 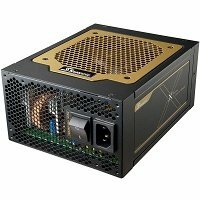 Based on the overall cost of your machine and how much you plan on using it you’ll probably want to go with a PSU in the Tier 1 to Tier 3 range. Overclocking should also be a strong consideration in your decision with the understanding that higher tiered units will offer additional longevity and emit less heat overall. For each capacity of power supply, I’ve included my favorite Tier 1-3 picks. For this category, I’ve included 3 very different options. 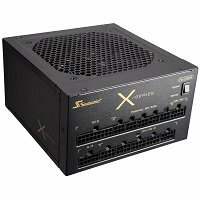 Seasonic G Series: The tier 2 Seasonic G series is pricier than the other options in this category because of the quality of components and manufacturing used. 80 Plus Gold certifications means that it’s at least 87-90% efficiency during standard usage. Antec VP-450: While the VP series for Antec isn’t 80 Plus Certified it’s been shown to be above 80% efficiency in most instances. What’s more is that despite its two rails it has 2 over current protection channels. 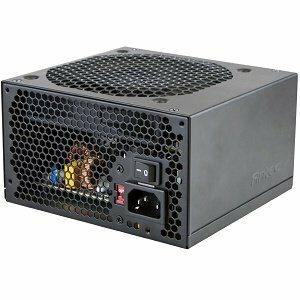 Overall, this power supply is inexpensive and will last you a long time. 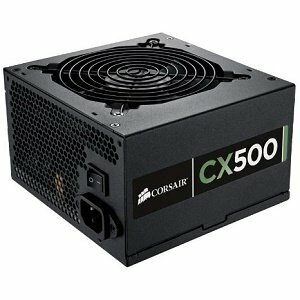 Corsair CX 500: I’ve seen this power supply for as low as $30 and for the money you could definitely do a lot worse. It’s a tier 3 80 Plus bronze certified and made of parts that give it an MTBF or mean time before failure of 100,000 hours. While it may not have Japanese capacitors it does have a 3-year warranty. EVGA 500 W1: While I wouldn’t recommend that the W1 be installed on an expensive machine, it works well for more affordable builds. I’ve seen it go as low as $24 after a $20 rebate so keep your eyes peeled for a good deal. 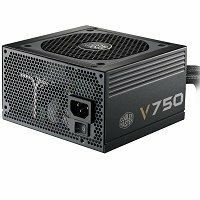 Cooler Master V750: This high quality 100% Japanese capacitor power supply is a top tiered option for those looking for a quality PSU that will last a long time. It’s perfect for a single higher-end GPU configuration overclock and very reasonable at just above $100. 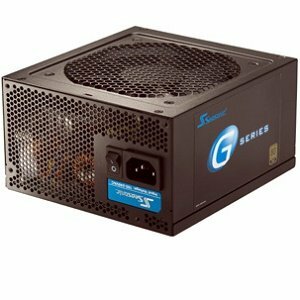 Seasonic G Series: For just $10 you can upgrade your 550 Watt Seasonic G power supply to the 650-watt version. 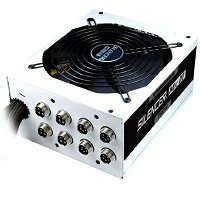 This is a good deal considering the quality of parts you get with this PSU. 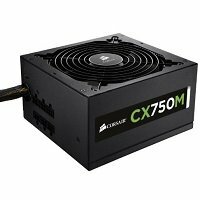 Corsair CX Series 750 Watt: Just like above you’re not getting the absolutely highest tier with the CX series, but this is still a good value option for those doing a budget build or even a mid-range build that still wants a high level of wattage and may not be worried about setting any overclocking world records. 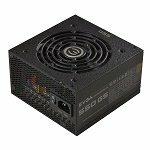 EVGA SuperNOVA 650 and 750 G2: The G2 is one of the most popular options on the market right now as you can get a 750W tier 1 Gold Certified PSU for just under $100. It’s definitely worth comparing against the other options I mentioned above. 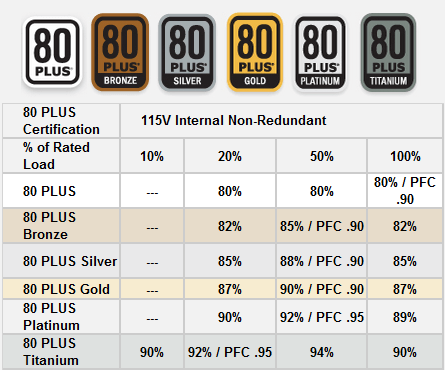 Tier 1: At this level, there’s not a lot of difference between a tier 1 and tier 2 gold certified power supply. For this reason, I recommend you stick with one of the power supplies on the tier one list. I’ve listed three options below I have confidence in. Go with whichever one you can get the best deal on. Right now, the EVGA SuperNova model is on rebate so it’s probably the one I’d go with. I’m not going to go into too much detail here because my explanation for these picks is pretty much the same as my 800 to 1000 watt picks. If you need this wattage, go with something in the tier one range. The FirePower Silencer MKIII is a platinum option (formerly PC power and cooling) I threw into the mix for this level; however, it’s very pricey compared to the other two models. Go with this model only if you need the absolute best in efficiency and quality. The option I really like this month, like above, is the EVGA SuperNova 1300 watt model. At $159 after the rebate, it’s one of the better deals you’ll find. Please vote for your favorite and comment below. Vote for your favorite Tier 1 Power Supply. 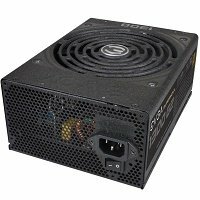 The EVGA SuperNova series of power supplies is one of the most popular on the market. It’s one that we recommend because of its mix of good pricing and quality build components. The new G3 series includes five new options that go from 550 watts to 1,000. These models use a 130mm fan with a hydrodynamic bearing and are fully modular. In addition, they all come with a spectacular 10-year warranty. Connectors use 18 gauge wires. Japanese capacitors, ripple suppression, load regulation, and build quality are all a plus. Compared to the G2, the G3 is more compact (30mm shallower) and looks nicer as well. It also has slightly better efficiency. The G3 series isn’t the quietest on the market, but it’s made of good stuff all around. The warranty is a plus. It’s not cheap, but most options come on sale for $20 to $40 savings if you’re willing to be patient. 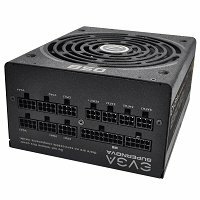 With all of this in mind, it can still be difficult to know exactly which PSU to purchase in a given month. Price and rebates change monthly and it takes research to know exactly which model to go is the best value. This is where this post comes in. This is one of several I’ll be updating regularly to use as a reference for our subscribers and those in the community. Updating my recommendations regularly in pages like these seems like the best way to get information to more people as our YouTube channel and website continue to grow. While more efficient may seem better you’ll also need to keep in mind how much time your machine is running vs. how much time it’s idle. The price per watt of power increases exponentially with efficiency and those who don’t constantly run their computers may not find they save money beyond a certain efficiency level. For more information, see my post on How Much it Costs to Run Your Gaming PC. 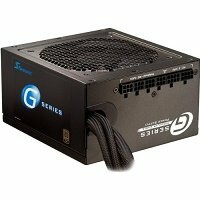 Overall you’ll have to use a little bit of your own discretion while choosing a power supply. You don’t want something so expensive that it takes away from your key components, but if you’re spending a lot on your rig already, then it’s probably a good idea to go with something that’s a better quality to help your components last a long time. Sources: Xtremesystems.org, Newegg Community Forums, SilentPCReview, Anandtech, HardwareSecrets, HardOCP, and JohnnyGURU. Best Tier 1 @ 650 watt power supply for a high-performance Mini-ITX build with the Asus Z170 Pro Gaming motherboard (one video card only… nVidia 1080)… ? ‘EVGA GS650 P2’ ? Or……..
Gigabyte Radeon R9 390, 16 gigs of DDR3 RAM and two SSDs – 128GB and 500GB. The price is higher than on Amazon ($137 before tax against $132), but they offered me a discount. So, should I buy such for my system or is it too powerful? All fixed up now! Thanks for the tip.